Glo is cheapest internet Data Bundle provider in Nigeria. Glo Data Plan is the most generous all day, and there’s no argument about that at all. Half Your Data Bills With Affordable Glo Data Plans; for example the popular 50MB daily plan sold for ₦100 by all other networks in Nigeria is ₦50 by Glo, another one, 1.6GB is ₦500; which other network offers that in Nigeria?!!! Even before now, you could get 3.2GB glo data plan for just ₦1,000. In April 2017, Glo made it more complicated drastic changes to their data plans and slashed their data bundles by 50%, Best reason is best known to the mobile telecommunication company. However, their 30 days internet package in Nigeria now starting at 1,000 Naira with 1.6GB data you get 24 hours access to the internet over a period 30 days. Glo have just started a new campaign called: UNMATHCED DATA VALUE, giving you the UNFAIR ADVANTAGE. 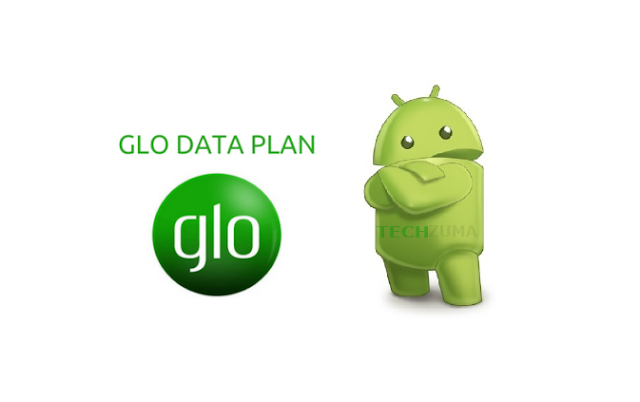 Android and PC users can make advantage use of this new Glo data plan. Also Read: Best and All MTN Data Plans. These Post will feature full information on the Glo data plan 2018 for ALL high-end and Smart devices, ( Apple iOS, iPhone, iPad, Androids, Windows phones, Symbian phones, Java phones, PC, modems, or MiFi). Post also covers subscription for heavy downloads, huge social media data, night browsing, weekend plans. We have contained GLO head office, visited all their internet reach outs and listed here every GLO Data Plan with their corresponding Glo Subscription Code; the list here is current and up to date. Here are the prices and data allowance of the Glo data Plan for 2018. All Glo New Customers will get some amount of added data bonus data to their glo data plan. For example: ₦1,000 for 2GB, instead of 1.6GB (400mb added bonus). If you are an old customer , you can also enjoy this bonus offer, All you have to do is to renew you data plan before it expires. So next time you subscribe, you will get bonus added to the normal data volume at the same price (₦1,000 for 2GB, instead of 1.6GB). However, you will be given 3days grace period after your subscription expires, Failure to renew the glo data plan within that 3 days period you will no longer be able to enjoy the old data plans. So subscribe within the next 3 days after it expires, else you’ld subscribe at the new rate. This bundle goes for ₦2,500 naira and it is tremendously great if you own a smartphone and need reasonable data limit at a less expensive fee. At lest it's very okay for every normal internet users, your get at least standard Facebook, Instagram and Twitter usage. To subscribe, just Dial *127*58# or text 58 to 127 to purchase this plan. That is another thrilling glo data plan I will personally recommend the Tablet & PC users, Especially blogger and all other internet based workers. To subscribe for the 12.5gb glo facts plan, just Dial *127*59# or text 59 to 127. This our recommended access data plan if you need to construct a hotspot in your private Home Company, School, and other Workplace for connecting more than one gadgets. For 8,000 naira, you get 25gb data allowance of glo facts plan. To subscribe, Dial *127*1# or text 12 to 127. You can also go for 26GB for #10,000 if you need something more. Dial *127*11# or text 15 to 127 to subscribe. Note: Renewal and new sims will get 32.5GB for the same price. Glo mobile network current support 3.5G HSDPA high-speed internet provides a download speed of up to 3.6Mbps. As stated by Glo. So if you wish to share your network wirelessly like in an office environment or at home, You can go for this plans. Else Glo has a high-speed internet router, which can connect up to 100 Wi-Fi enabled devices. Glo HSI Router now goes for N30,000 with 1-month free rental.